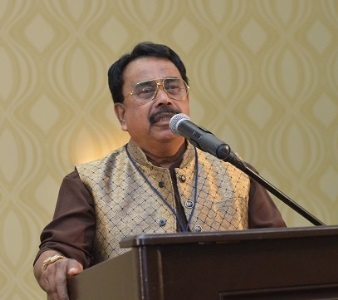 (Left) P. Sreeramakrishnan, Speaker of the Kerala Legislative Assembly, addressed the Indo-American Press Club in Atlanta. The Government of Kerala was in the process of revamping the flood relief program to make it more transparent, said P. Sreeramakrishnan, Speaker of the state’s Legislative Assembly. 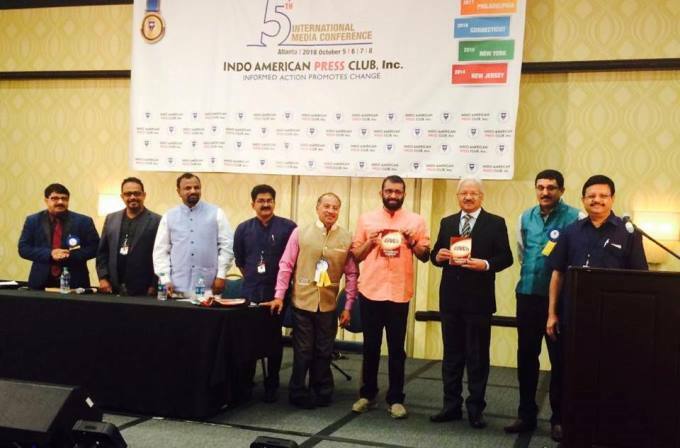 He was speaking at the closing ceremony of the Fifth International Media Conference of the Indo-American Press Club at the Atlanta Airport Marriott Hotel, Georgia on Sunday, October 7, 2018. (Right) Dr. Babu Stephen, Chairman, IAPC. IAPC Chairman Dr. Babu Stephen assured that people of Indian origin were totally committed to helping the government of Kerala in its flood relief efforts. Ginsmon Zacharia, former chairman of IAPC, said that the organization was not just a team of working journalists but also included other media professionals such as video editors, camera operators, photographers, and anchors. The closing ceremony commenced with the opening remarks by Vineetha Nair, Vice Chairperson, IAPC. 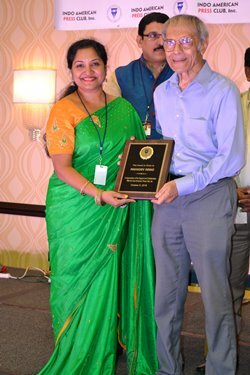 (Left) Special recognition was given to veteran journalist Mahadev Desai of Atlanta. 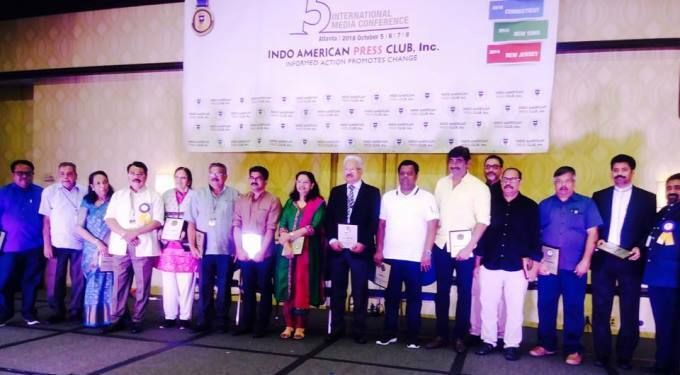 The IAPC Excellence Awards for the year 2018 were presented by Speaker P. Sreeramakrishnan to Dr. Jay N Sampat (Humanitarian Activities), P.P. Cherian (Media), Sunny Mattamana (Community Service), Rajan Cheeran (Arts & Media), and Thangamani Aravindan (Community Service). An award of special recognition was presented to Mahadev Desai for his contributions to the field of journalism. 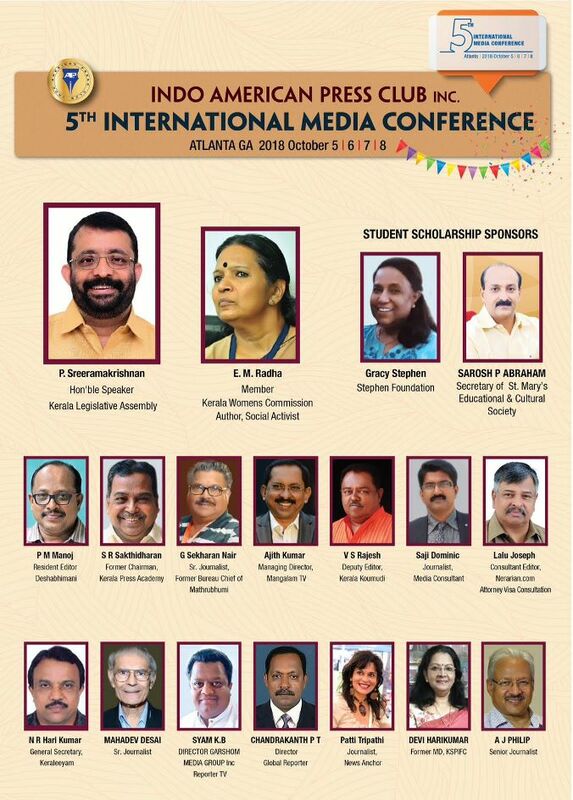 IAPC Merit Scholarships were distributed to 30 outstanding students of Indian origin by Gracy Stephen, President of Stephen Foundation, and Sarosh P. Abraham, Secretary of St. Mary’s Educational and Cultural Society and Queen Mary’s Educational Society. Prizes and certificates were also distributed to the winners of the essay competition and photography competition. 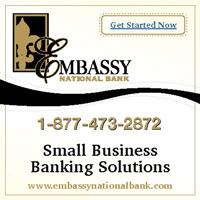 The three-day conference featured seminars and panel discussions that were led by experts in various fields, and were attended by celebrities from the fields of media, business, and the film industry. 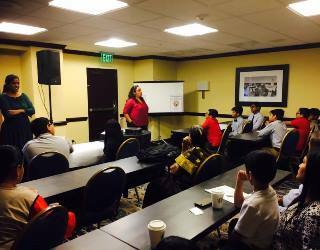 Attorney Onkar Sharma made a presentation on U.S. Visas for foreign media. 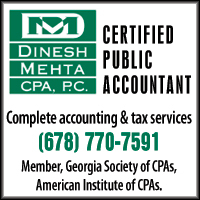 A session on changing Indian tax laws was conducted by Abu T. Mathew, Advocate, Kerala High Court; Ginsmon Zacharia; and Attorney Morley J. Nair. Women’s Forum panelists were Patti Tripathi, E.M. Radha, Sangeeta Dua, and Roopsi Narula. Fashion Show during the entertainment program. Noted cine artiste Sudheer Karamana was the chief guest at the entertainment programs presented by the young talent from Atlanta. The seminar ‘Natural Disaster Management and Rebuilding Kerala’ was well attended. Presentations were done by Speaker P. Sreeramakrishnan, Dr. Babu Stephen, Ginsmon Zacharia, S.R. Sakthidharan, E.M. Radha, A.J. Philip, and Roy Thomas. Book release during writers’ seminar. Dr. Thomas Mathew Joys, Saji Dominic, James Koodal, George Kottarathil, Morley J. Nair, Korason Varghese, and Sudheer Karamana spoke at the writers’ seminar. The seminar ‘Contemporary Politics and the New Media’ was presented by professors of Georgia State University, George and Salli Vargis, and was facilitated by Anil Augustine. (Left) Writing workshop for children. A creative writing workshop for young children was conducted by The Young Leaders Academy (TYLA), coordinated by Anil Augustine. The seminar ‘Ethical Standards in Malayalam News Media – Past and Present’ witnessed some lively exchange of ideas and opinions. 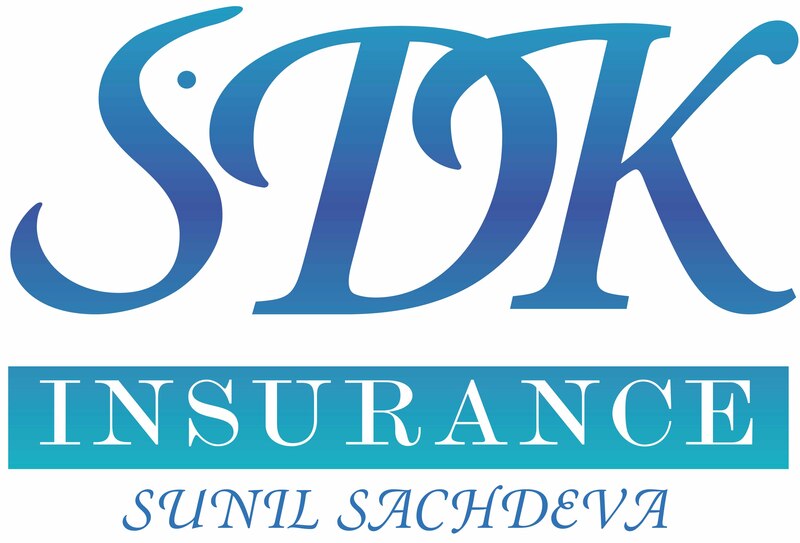 G. Sekharan Nair, R. Ajith Kumar, Saji Dominic, Lalu Joseph, V.S. Rajesh, and P.M. Manoj spoke at the seminar. The event was moderated by Innocent Ulahannan. Dr. Thomas Mathew Joys was honored for his outstanding contribution to IAPC since its inception. 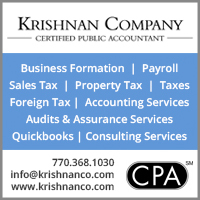 George Kottarathil, John K. George, and Suresh Thomas were also recognized for their participation in all the five conferences held by IAPC. The hosts of the event, members of the Atlanta Chapter of IAPC, were specially invited to the stage and honored by the Chairman. Community leaders Madhavan B. Nair, President of FOKANA, and Paul Karukappillil, former President of FOKANA also spoke. 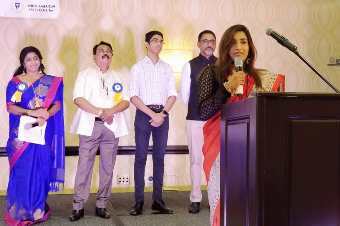 During the program intervals, Geethu Venugopal, Andrew Jacob, Ninan Kodiyattu, and Roy Thomas regaled the audience with their songs in Hindi and Malayalam. (Left) Emcees during the closing ceremony. The closing ceremony was emceed by Biju Chacko, Mini Nair, Andrew Gins, and Kalyani Nair. The event was followed by a ghazal presentation by Ali Bhai and Neera with Dr. Nithin Mayur on Tabla. Chairman with delegates from India.